I was trucking along, barreling toward 36 wks (this past Friday) and feeling pretty lucky that we'd made it to the home stretch without any major annoyances or roadblocks in this process known as human gestation. The idea of 4 more weeks did not sound cumbersome to me in the least...in fact, I was rather relieved to have another whole month to get things prepared, and try to wrap my mind around actually becoming a mommy shortly. I was zen, I was sleeping well, and overall doing "great." Last Weds or so, I started itching, mostly on my tummy. This was easily attributable to the fact that my belly is being stretched beyond belief thanks to the growing little girl in there. Then I noticed my legs were itching too. By then, it was a full-fledged, disgusting and mind-blowing rash that is all over about 80% of my epidermis. Who knew pregnancy rash was even a thing that could happen? Not I. I suppose that it's far too scary a thing to be shared with the innocents in your pregnancy wake. What is the only thing that completely makes this rash go away? Have the baby, of course. So what do I now want to happen? Have the baby, of course (when she's good and healthy and ready, but nevertheless the sentiment remains). We had lunch with my high school piano teacher today, who said that there always seems to be something in the last month of pregnancy that makes you completely READY for the finish line...ie, a cold that won't go away, heartburn, not sleeping, etc. Itching uncontrollably definitely falls under this category. YES I'M READY FOR YOU, BABY! WE CAN'T WAIT TO SEE YOU! Anything happen to you in your last month that made you want it to be over? p.s. Yes I've tried hydrocortisone, Benadryl, Aveeno baths (in lukewarm/cooler water), some stuff the doctor gave me, and breathing deeply while taking my mind to a relaxing, happy place. If you have any other ground-breaking suggestions, I'm all ears. I am so sorry. What a kick in the pants. Um, the SWELLING made me want to lose my mind. I had the horrible itching while pregnant too. The top of my feet itched so bad I was ready to cut them off. My Dr suggested Sarna lotion. It worked wonders. It contains some menthol, which is a relief in the summer heat. Oh man...bummer, friend! I have had a few friends who've gotten this little surprise at the end (is it called PUPS or something? I dunno). I didn't get it, but I was one of those late bloomers who didn't get the chicken pox until the summer after my junior year in high school. It is true what they say about it getting worse as you get older, and I distinctly remember the insanity-inducing itching. So from me to you, a genuine BLESS YOUR HEART! My only late-in-the-game frustration was that Riggs was incredibly low for a long time. I went through most days thinking that a baby was just going to fall right out in front of all of my coworkers. It got pretty uncomfortable, but I guess the positive was that he was ready to roll when the time came! I went to college with Hayley Gibson Davis and started reading your blog from her blog. I got this very same rash with my pregnancy. My doctor called it PUPPS. You can read more about it here: http://www.whatispupps.com/ She told me to use gold bond medicated lotion and it helped a lot. It stinks (literally- awful smell)but I didn't care. I was happy to have a little relief. Be prepared because it tends to get worse after the baby is born. I can remember being so exhausted the first few days after Clara was born but itching everywhere from my shoulders to the bottoms of my feet. It went away on its own less than a week after she was born. Try not to scratch it (although it feels really good to do it). Eesh. :( Hope it's not PUPPS. Has it gone away? 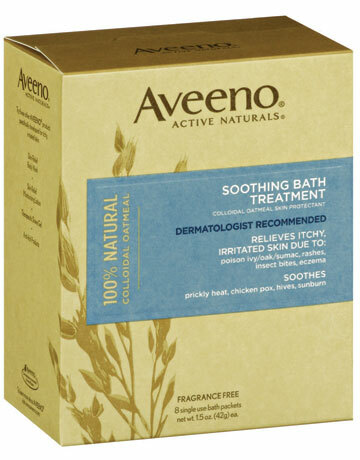 Aztec clay may help (at health stores...you can add it to your bath or even drink some in water).